Bellcosa was launched 2015 by Daniel Cohn following the sale of his family’s BR Cohn Winery. Dan grew up in the Sonoma Valley and learned the wine business from the inside out at an early age. Walking the vineyards, hands in the soil, working in the cellar, racking barrels and cleaning tanks, he was raised around some of the early California wine industry stars – winemakers such as Helen Turley, Merry Edwards and Steve MacRostie to name a few. 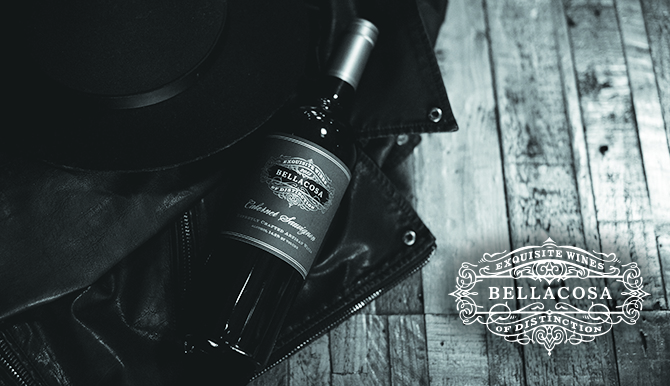 In creating his own wine label, Dan tapped his network of friends in the industry to source the highest quality grapes, cork, label, and bottles; only the best goes into Bellacosa. Dan’s relationships give him access to unparalleled grape contracts in the North Coast. Meticulous competitive tastings and blending trials have produced a wine that is lush, elegant, and outperform California Cabernet’s at the same price and higher. Exceptional grapes combined with meticulous blending trials produce a wine that is lush, elegant, and outperformed California Cabernet’s at the same price and higher.